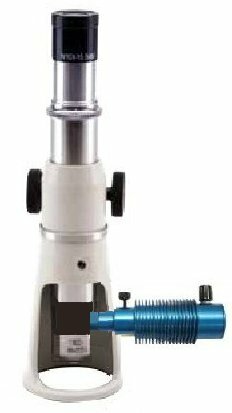 Microscope can be used for crack measurement of fine crack in cement industries too. To study small objects, Its tiny micro microscope and can be carried in pocket for field studies. Portable Metallurgical Microscope is widely used for inspecting measurement in production of a factory and research departements. It is particularly suitable for examination in the Grain Size Analysis, Surface Morphology of Metals at 100x, Crack width Measurement, etc. Used in Metal Industry, Cement Block Study, Roof & Bridge Construction, Boiler Inspection. 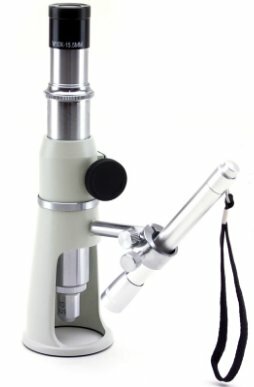 The ParaLens Advance can be used with any compound light microscope, with noneed to invest in unnecessary new equipment. It easily attaches as an objective, with adetachable filterset arm that allows users to change between objectives whenever necessary. The durable ParaLens Advance LED light source has an average life of 20,000 hours and a rugged design that can with stand any environment. The LED light is as bright as a 100 Watt mercury vapor bulb, providing clarityduring sample review even in direct sunlight.